Brandon Bond Tattooed Nas and Kellis. Go to www.myspace.com/brandonbond !! 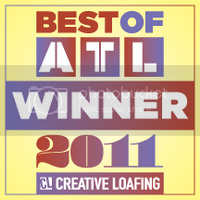 and check out the gallery of current photos of the adventure over at our private VIP studio www.antiartatlanta.com. More pictures are coming. Brandon is tattooing Nas' entire torso and back and Brandon is also doing both of Kellis' legs!!!!! Nas aka "Nastradmus" is a famous rapper working on his 9th album .Has so far dropped 8 albums, the 1st, "Illmatic", is considered one of the best hip hop albums ever recorded. He has a greatest hits album coming out in November. Kelis (his wife) is also a billboard chart darling with many songs including - My milkshake brings all the boys to the yard. Nas and Kellis have a reality show coming in 2008 on MTV. Nas will be performing tomorrow (Sept 6th) at Virginia tech, where the massacre happened back in april. When he was added to the roster, Bill O'reily and fox news denounced the show because nas has explicit/violent lyrics. Check out www.antiartatlanta.com. ANTI Art Elite is the private tattoo studio of Brandon Bond and is widely sought out by clients world wide. This private studio boasts the most amazing environment to not only give a tattoo but to receive as well. Located in Northwest Atlanta, GA, our gallery hosts two movie theaters with thousands of titles to choose from, two koi fish ponds, and two gallery spaces featuring the private "Brandon Bond Collection" of art from the worlds top tattooists. We also have wireless video games in every room, a luxurious Jacuzzi complete with surround sound and wireless gaming, decorative hand laid Brazilian flooring, sand blasted and etched glass, and a huge grill overflowing with fresh food and rare cuts of beef everyday. If it's drink you are after, look no further than our refrigerators and coolers full of sodas, beers, mineral water, juices, champagne, and wines. In short, there is no other studio on earth like this. We have created a luxurious space that not only relaxes the client, but the artists as well. The art created is extremely advanced, elaborate and rare. We specialize in collaborative tattooing, which involves two or more artists working together to create the absolute best in custom tattoo artistry. This is not a public studio, but we invite you to tour our galleries and enjoy the first class art that has been created in this truly unique environment. If you wish to journey down the path less traveled, bear in mind we stay booked well in advance with current VIP clients and we do not tattoo anyone here without an appointment and a large deposit. 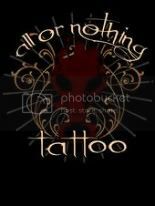 For booking information or contact with our artists, please visit our public studio by going to the All Or Nothing Tattoo site. When you are ready for truly unique and incredible art created by the top artists in the country, contact us. We would love to spend a weekend with you creating art.